Soon robots like this could make decisions on how to build more effective 3-D printed parts. This multi-axis printer uses laser beams to deposit material and make metal components, which could be important resources for people far from supply chains. 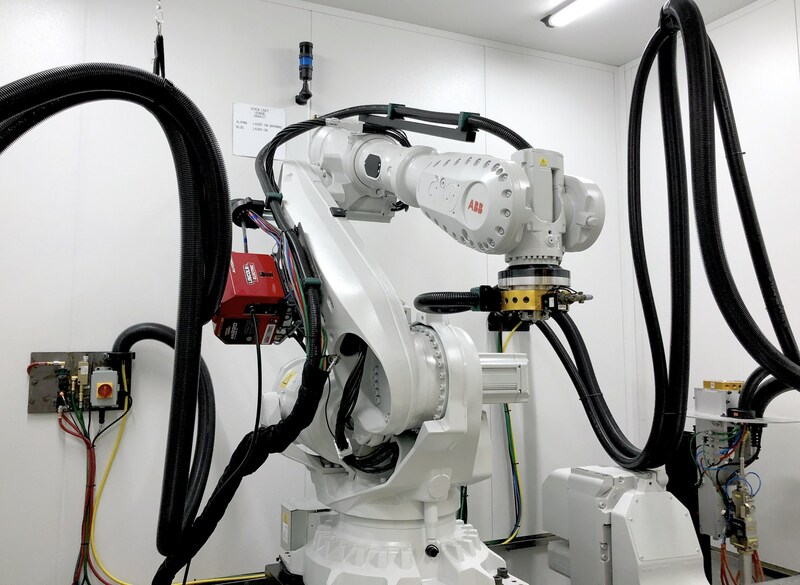 Lockheed Martin and the Office of Naval Research of the U.S. Navy are exploring how to apply artificial intelligence to train robots to independently oversee—and optimize—3-D printing of complex parts. The two-year, $5.8 million contract specifically studies and will customize multi-axis robots that use laser beams to deposit material. Working together, the team will develop software models and sensor modifications for the robots to build better components, Lockheed Martin said in a statement. Researchers are also expected to apply machine learning techniques to additive manufacturing so variables can be monitored and controlled by the robot during fabrication.